Hughes Hubbard & Reed secured a major victory for client Jeffrey Melofchik, who was acquitted of all charges in the blaze that killed two firefighters at the former Deutsche Bank building in downtown New York City. 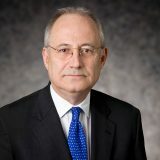 Melofchik, a site safety supervisor employed by Bovis Lend Lease and the most senior official among those charged, was one of three workers and a corporate defendant accused of failing to realize that a pipe that asbestos abatement workers had removed from the ceiling of the basement was part of a critical standpipe. When the fire was accidentally initiated by a discarded cigarette on an upper floor, the firefighters were not able to get water up the building quickly enough because of the breach in the standpipe system. Two of them perished when they became trapped and overcome with smoke. Melofchik and the other defendants were indicted for manslaughter, criminally negligent homicide and reckless endangerment and faced up to 15 years in prison. The defense said throughout the case that the three men who were charged were scapegoats. As Ed Little argued during the trial, the death of the two firefighters was a tragic accident that no one could have foreseen, and the client had no duty to trace the standpipe that ran through 26 floors of the Deutsche Bank building, which had been severely damaged in the 9/11 attack. When the jurors were interviewed after the trial, they agreed that the defendants were being unfairly singled out, given that the building was crawling with government regulators and other inspectors, none of whom detected the problem with the standpipe. The various City, State and Federal agencies involved had successfully avoided indictment by arguing sovereign immunity. The jury reached its verdict on the 101st day of trial. One other defendant was acquitted. The two remaining defendants waived the jury out of concern that jurors would be unduly swayed by the deaths of firefighters. They await the decision of Judge Rena K. Uviller, who presided over the trial. The trial lasted 16 weeks, involving 72 witnesses and 1,100 exhibits. It received extensive media coverage in outlets such as The Wall Street Journal and The New York Times. Little led the team, which included Dan Doeschner and Christine Stecura in the courtroom, and Lisa Cahill and Robert Ford on the critical legal briefing, as well as Evelyn Gertz and Laura O’Gorman.